Dr. Neil Greenberg » FOUND OBJECTS – SCHOLAR STONES – art or artifact? FOUND OBJECTS – SCHOLAR STONES – art or artifact? 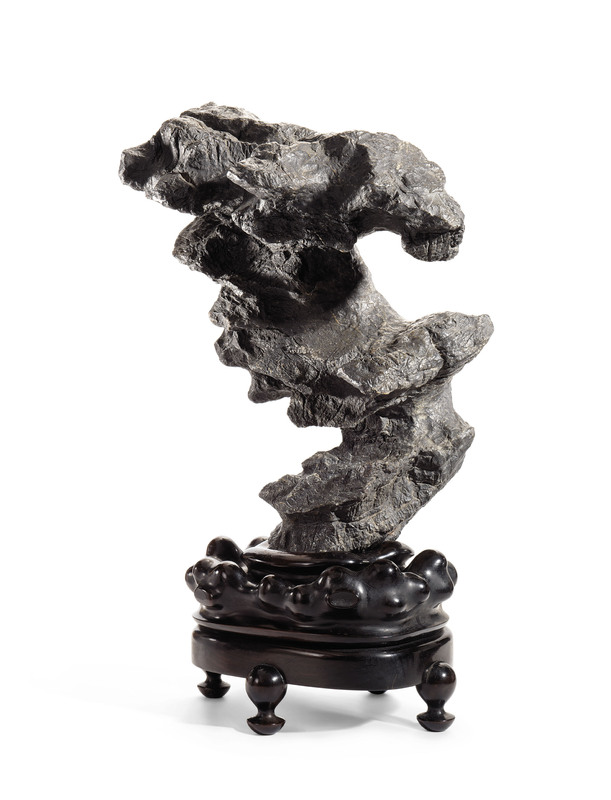 Leading expert Robert D. Mowry, who is Harvard Art Museum’s Curator Emeritus and a senior consultant to Christie’s, describes them as ‘favoured stones that the Chinese literati displayed in the rarefied atmosphere of their studios’. The Chinese scholar drew inspiration from the natural world; he did not go out into nature to paint or compose poetry, explains Christie’s specialist Pola Antebi. Rather, he worked within the seclusion of his studio and used these ‘representations of mountains’ as inspiration for his work. What do the various forms represent? A few of the mountainscapes may recall specific peaks but most represent imaginary mountains such as the isles of the immortals believed to rise in the eastern sea. However, more than anything it was the abstract qualities that appealed to the Chinese literati, an idea that resonates with the modern collector who will see parallels with the avant-garde forms of Brancusi, Moore and Giacometti. They were found in nature and on occasion enhanced by carving and piercing the stones, or making inscriptions. When were they first collected, and by whom? From as early as the Neolithic period — nearly 7,000 years ago — prized stones and jade have been found buried in tombs. However it was not until the late Tang dynasty (618-907) that scholar’s rocks were collected in earnest. What are the criteria for a scholar’s rock? Many factors contribute to the perfect scholar’s rock — or ‘fantastic rocks’ as they were once known — ranging from its geographic origin to the colour and texture of the stone. ‘Rocks of sombre colour are typically appreciated for their sensuous shapes, while rocks of bright colour are generally valued for their massed forms, which best showcase their colours,’ says Antebi. A number of terms were created to describe the desired qualities in a scholar’s rock, from shou (meaning thin) to tou (conveying ‘openess’). Hollows in the rock, meanwhile, were prized for their dramatic contrast to the solidity of the stone — and light. Other terms denote the rock’s age: gu means ancient but also elegant, while jue is the ultimate accolade, translating as ‘perfect’. What do these pieces tell us about the cultural exchange between China and Japan? ‘This particular collection was primarily sourced in Japan,’ says Pola Antebi. ‘Many of these treasured pieces were acquired in China by Japanese dealers and transported back to Japan in the 19th century. 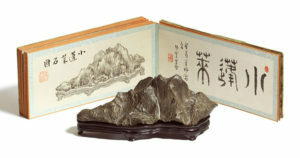 There is a marked tendency for hollows and textured surfaces in Chinese rocks, while the Japanese prefer stones with a smoother surface, and tend to favour forms that suggest well-known peaks such as Mount Fuji.